This Parents’ Choice Gold Seal Award winner is like no other learning toy, because kids get totally absorbed playing with it. It pulls on their thoughts and challenges them. 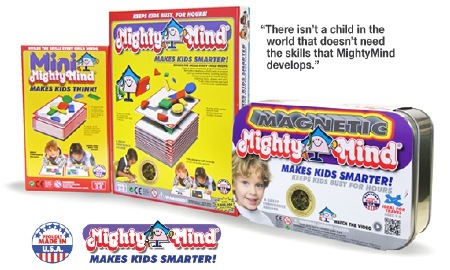 Since 1978, MightyMind® (ages 3 - 8) has been described as an essential toy for every child, because it benefits children every time they play with it. 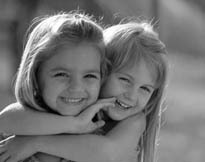 It brings hours of contagious fun that gives kids the essential skills they must develop for success and confidence. Parents love MightyMind, because they see the benefits it brings and it keeps their kids busy for hours. are MAKING KIDS SMARTER™ every day and KEEPING THEM BUSY FOR HOURS™. child development experts. No other activity toy has garnished such praise and such a loyal following. Ask any parent who has one, or ask any retailer who has been selling them, the enthusiastic praise is unanimous.